Kid Frost (b. May 31, 1964, as Arturo Molina Jr), now known as Frost. He is a popular and first widely recognized chicano (Mexican-American) rapper from East Los Angeles, CA. Frost spent parts of his childhood on military bases in Guam and Germany. He began rapping in 1982. As an MC, he named himself Kid Frost as a tribute to Ice T who he often battled . He soon joined Uncle Jamm's Army. As a solo artist, his earliest 12" electro rap records came out on Electrobeat Records and Baja Records. Frost spent parts of his childhood on military bases in Guam and Germany. He began rapping in 1982. 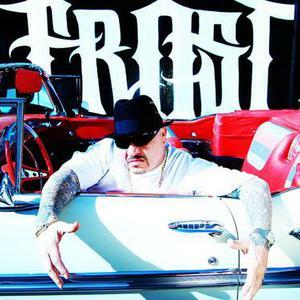 As an MC, he named himself Kid Frost as a tribute to Ice T who he often battled . He soon joined Uncle Jamm's Army. As a solo artist, his earliest 12" electro rap records came out on Electrobeat Records and Baja Records. Trivia: His song "La Raza" was highly popularised among the non-initiated due to its appearance in the soundtrack of the computer game Grand Theft Auto: San Andreas, in which it was featured in the fictional Radio Los Santos radio station.